One of the greatest blessings Kathy has is sharing her years of experience working with children with other Christian teachers. Discover how your teachers can learn creative ways to share God’s life-changing Word to the children God has placed within their care. 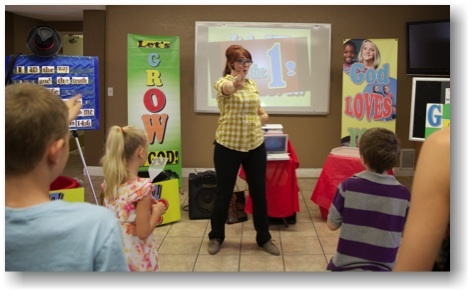 Do your Christian teachers need encouragement? Then invite Kathy Vincent to your church or school for a day of inspiration and unique, must have resources and ideas through effective teacher training workshops. Hosting a Scripture Lady teacher training workshop will provide your teachers, both seasoned and new, with practical, do it this week, activities and ideas to help your kids get excited about the Bible. 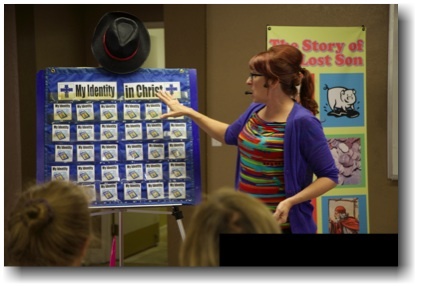 A Scripture Lady workshop is designed to train each of your children’s workers to be more confident and prepared to creatively teach the Word of God to their students. Many Sunday School and Christian teachers often feel unprepared to teach the Bible to the various age groups given them. And today’s technology-saturated kids require teaching that is targeted to their generation with eye-catching visuals. 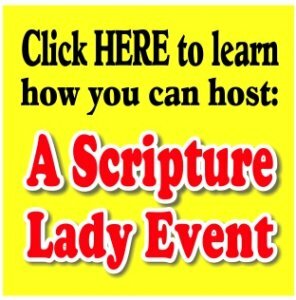 So, what’s it take to book a Scripture Lady Workshop? A desire to see your children’s workers encouraged and edified. A room big enough to accommodate your teachers as well as Scripture Lady and all her great props. The supply of four 6′ to 8′ tables for Scripture Lady’s props and products. A Scripture Lady workshop is very affordable. We want to bless you and work within your budget. Please browse through our WORKSHOP PACKAGES to choose the one best for you and your ministry. Lastly, CONTACT ME, THE SCRIPTURE LADY, to book your day of encouragement! “Thanks again for all the wonderful ideas. I used a couple of your games, adapted for the type of Bible drill section I was teaching, with the youth at a retreat I did last weekend. The games were a big success! 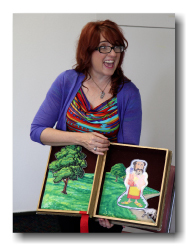 It was so nice to have some fresh ideas.” Karen N.
inspiration and unique, must-have resources and ideas through effective teacher training. fellowship with like-minded individuals who desire to be the best teachers they can be. learning practical, do-it-this-week, activities and ideas to get the kids you minister to excited about the Bible and God. or email her at thescripturelady@gmail.com. “Thank you so much, Kathy! 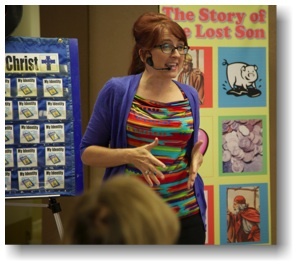 You really inspired me at the Children’s Ministry Conference at Murietta this past week.” Diane A.